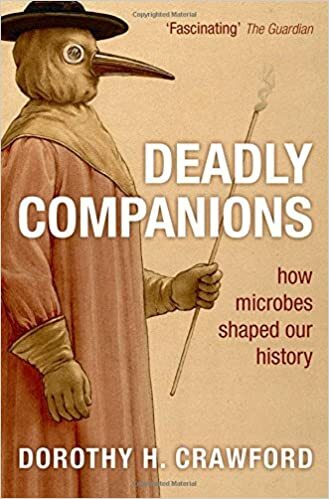 Combining tales of devastating epidemics with accessible science and fascinating history, Deadly Companions reveals how closely microbes have evolved with us over the millennia, shaping human civilization through infection, disease, and deadly pandemic. Beginning with a dramatic account of the SARS pandemic at the start of the 21st century, Dorothy Crawford takes us back in time to follow the interlinked history of microbes and humanity, offering an up-to-date look at ancient plagues and epidemics, and identifying key changes in the way humans have lived--such as our move from hunter-gatherer to farmer to city-dweller--which made us ever more vulnerable to microbe attack. Showing that how we live our lives today--with increased crowding and air travel--puts us once again at risk, Crawford asks whether we might ever conquer microbes completely. Among the possible answers, one thing becomes clear: that for generations to come, our deadly companions will continue to influence our lives.